Imagine my surprise when I came across this wonderful set of beach towels by Jantzen this morning. I had no idea Jantzen was re-issuing some of their older advertising images on towels. 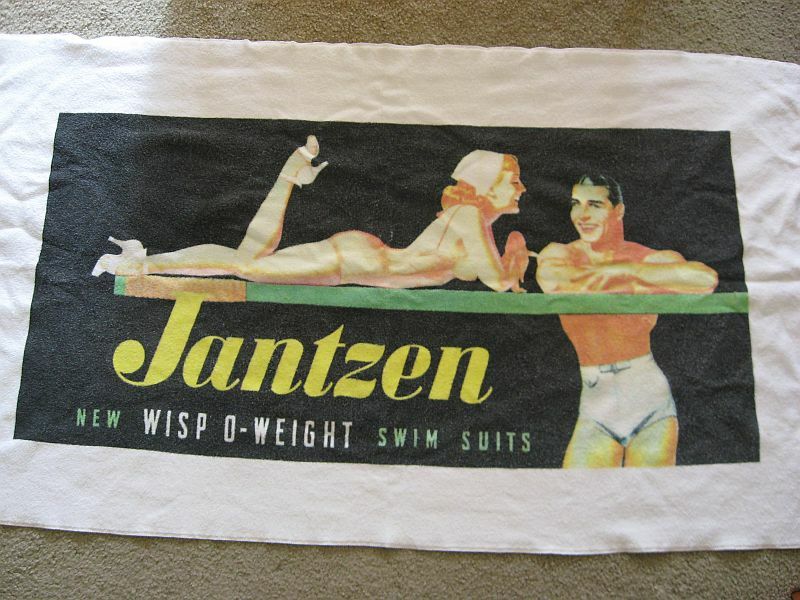 This is their newer logo though so these must be quite recent. 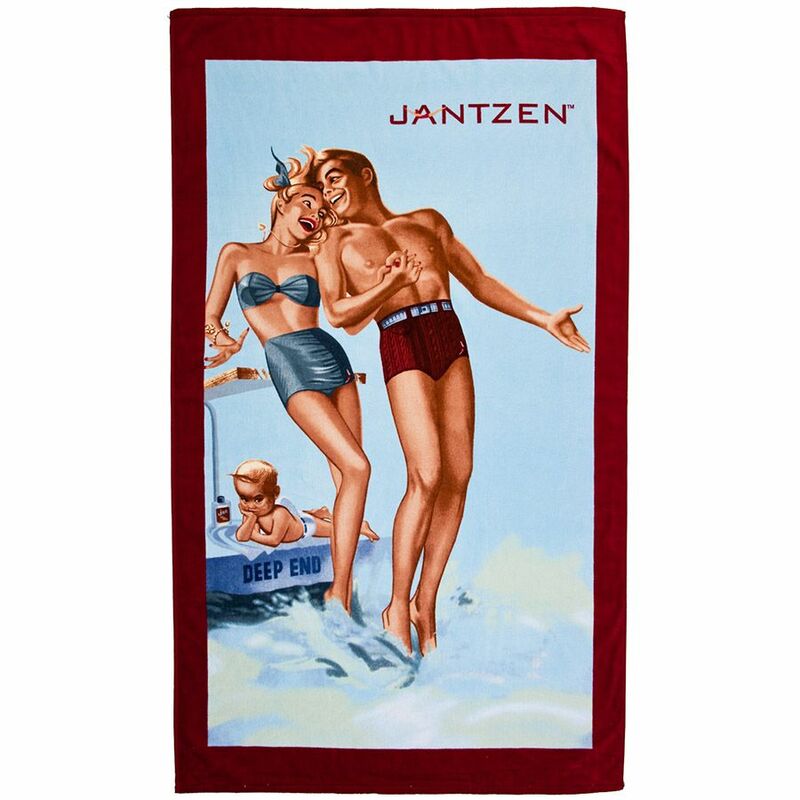 Jantzen This is The Life Beach Towel portrays a picture of days gone by when people really did say, "This is The Life"! 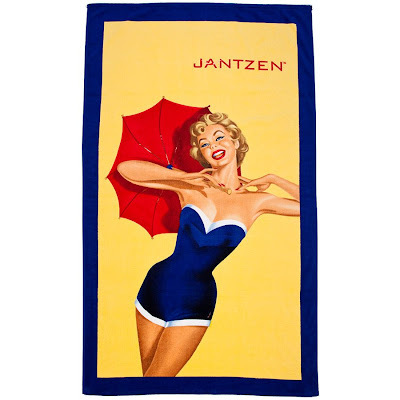 This is exactly the feeling you'll have when your body has Jantzen Beach Towels or any Jantzen Towels wrapped around it. 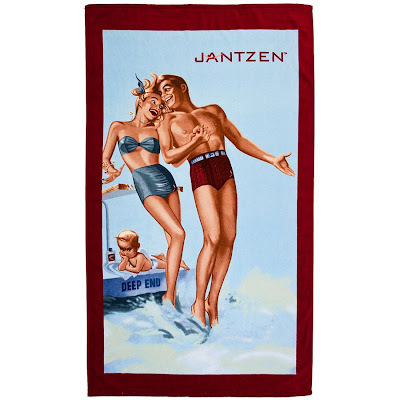 Jantzen Towels are not only made of soft and smooth 100% terry cotton, but they also have the Jantzen logo on the bottom to let the world know you care about quality and fashion. 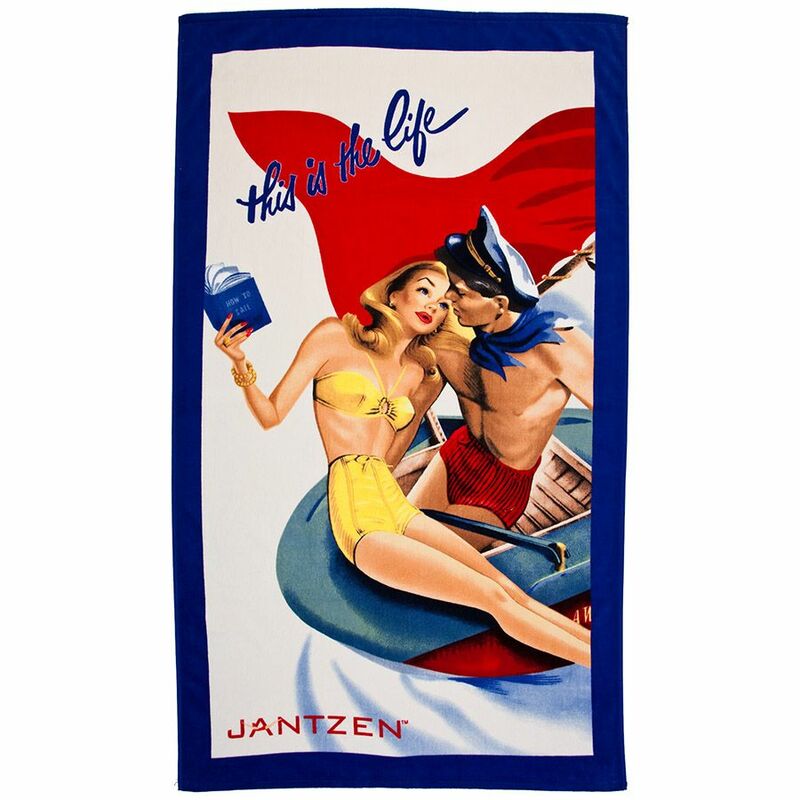 So, if you're like me and you like this sort of thing, you can order them here. This is one my dear sister gave me as a birthday gift a few years ago and I treasure it. I just may have to ask for one of the above for my birthday this year. neat! 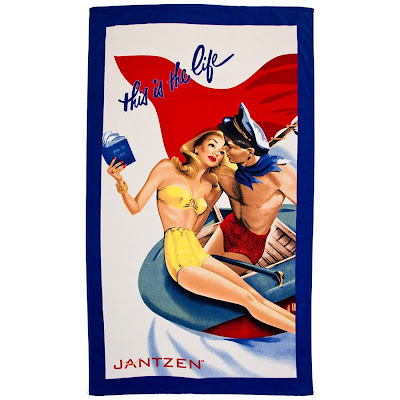 They'd work pretty great as decorations for a retro-beach themed party too.